Sydney Sightseeing with NOTE9. 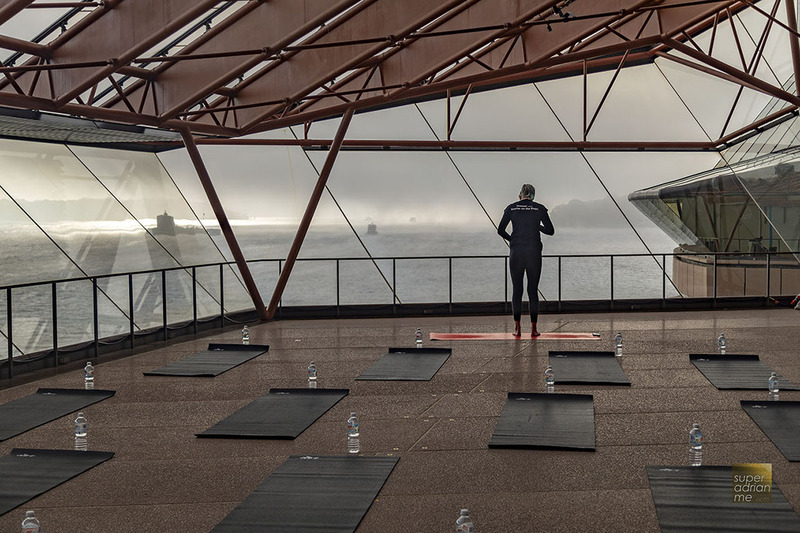 Yoga at the Opera House. 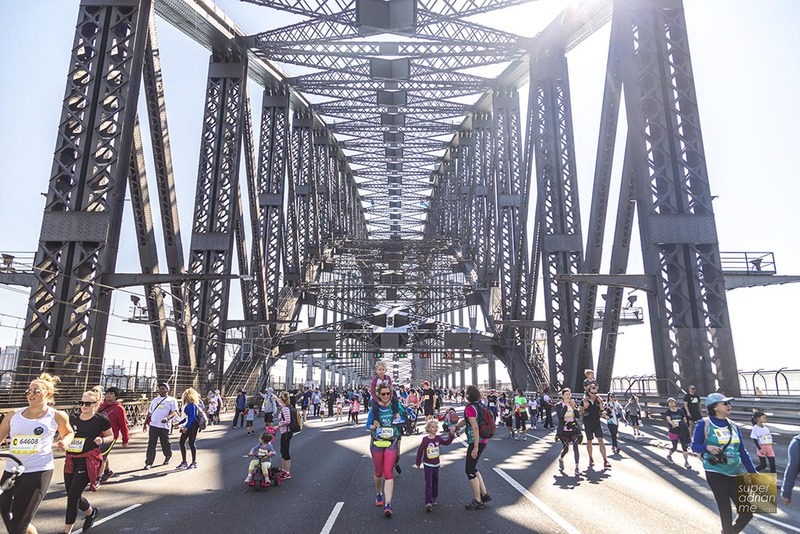 The last time I visited Sydney was in 2017 when I went for my first ever Marathon at the Sydney Running Festival. Of course, I didn’t run the marathon. I couldn’t even run 100 m for crying out loud. I walked the 5km Family Fun Run segment joining many families, some with young kids, and others dressed as superheroes. I was there for the fun. How often do you get to walk across the Sydney Harbour Bridge with no vehicular traffic in sight? 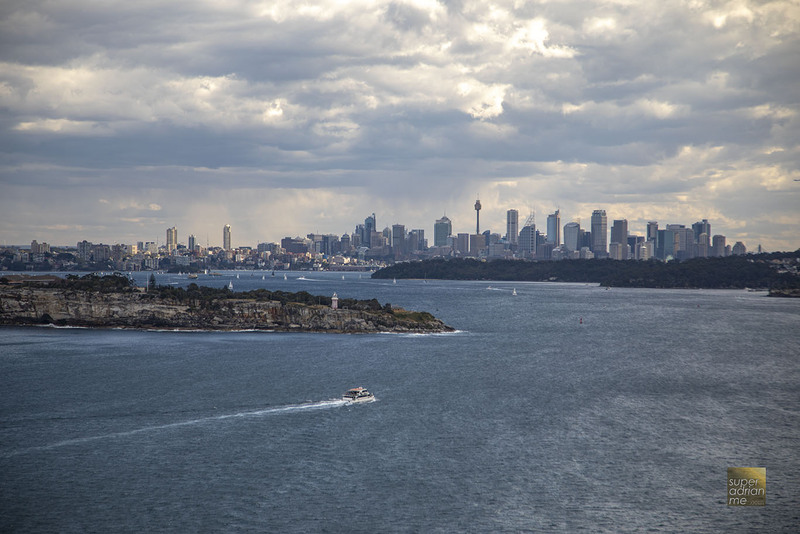 One year and a few weeks later, I was back in Sydney. It didn’t involve running, but instead, I had to do yoga at the steps of the Sydney Opera House. When I got the itinerary from Samsung Singapore, I was kinda excited with the idea of doing some stretching exercise at the landmark concert hall. 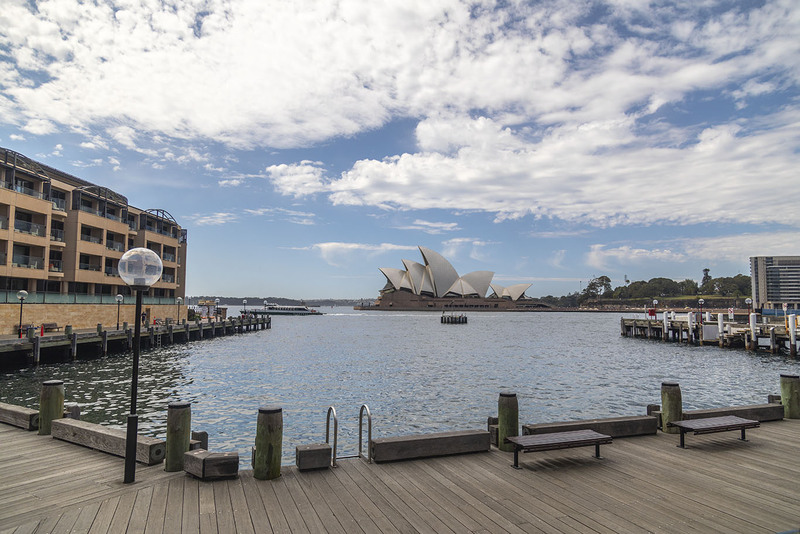 I haven’t stepped inside the Opera House but have shot its exterior from multiple angles everytime I was in Sydney. I had to wake up at 6.45 am. It was early. It was 9 degrees Celsius. Compare that to the usual 30 degrees weather in Singapore, that was going to be a challenge. And it was for Yoga. So I wore a thicker Adidas tee and track pants that I bought during the new VivoCity boutique opening and put on my blue Under Armour running shoes I got for the running festival a year ago. I got smarter, last year I was freezing myself off just because I thought Sydney would be warm in September. Boy was I wrong. I wore my new Samsung Galaxy Watch. I picked the 42 mm model. The 46mm model was too big for me. And if I wanted to be wearing the watch to track my sleep, it couldn’t be too big or heavy. Each watch is packaged in a back square box synonymous of Samsung’s Galaxy products. You get a watch band that is easy to put on or replace. 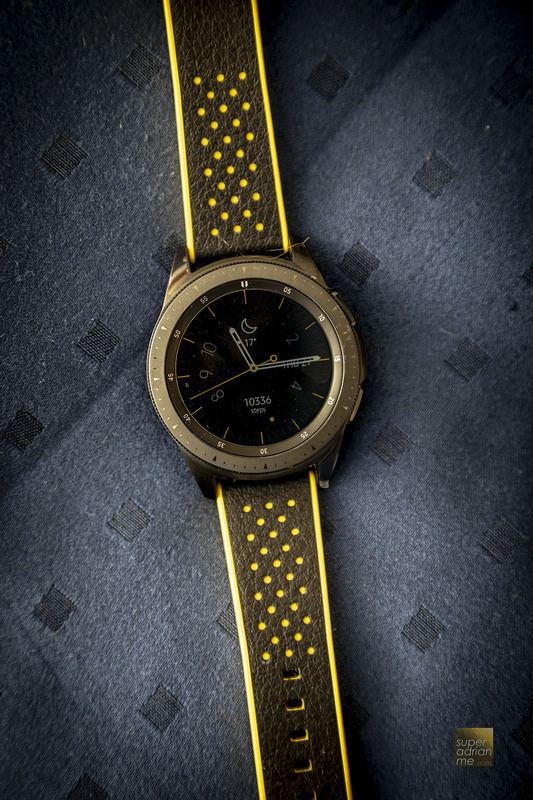 I picked a fancy yellow and black strap from Strap Studio and a watch face with a similar colour scheme. You can pick and watch strap from anywhere and not just from Samsung. I was going to be tracking my one-hour Yoga session, perhaps helping me reduce the 10,000 steps I am supposed to achieve that day. Anyway, who came out with that 10,000 number? I would be lucky if I could even achieve 3,000 steps whenever I was back home in Singapore. It was windy at the opera house. Fortunately, the floor was wet and slippery, so we moved into the building which was warmer and had a full view of the harbour. I was enthusiastic. Samsung was filming. I had to look good while trying to control my breathing, smile and still look somewhat glamorous. I gave up in half an hour, but I was corrected and someone told me I only lasted 10 minutes. And my thighs and shoulder were aching already. Maybe I am not destined for Yoga. This third attempt with Yoga still proved disastrous. The first time I attended a Yoga class when I still went to the gym in my early 20s and almost died because I went for an intermediate yoga session and attempted my first crow position. The second time I did yoga was with Tara Stiles at W Singapore. The hotel had collaborated with Tara to promote a healthier lifestyle programme for guests of the brand around the world. 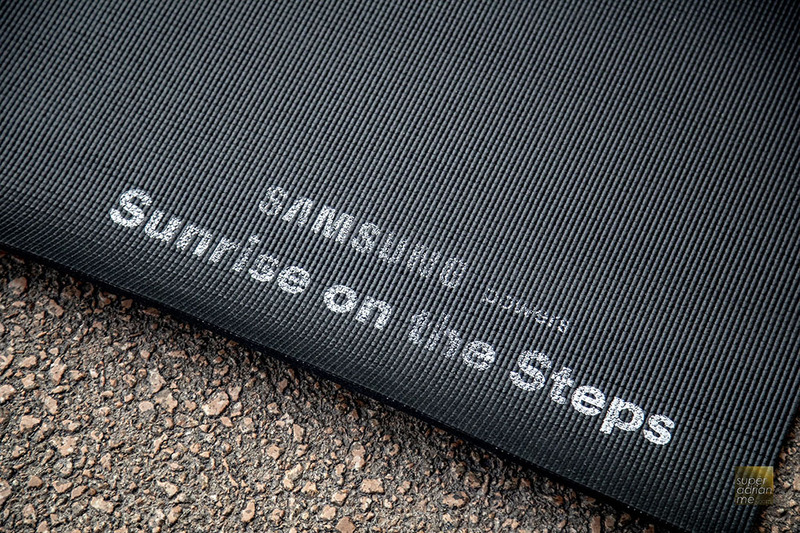 Samsung has collaborated with the Sydney Opera House for Sunrise on the Steps, a 10-week yoga session from 10 October to 15 December this year. These yoga sessions conducted by Crawf Weir of Barefoot Yoga Studio are held on Wednesday (7 am and 7.30 am), Fridays (7 am) and Saturdays (7.30 am and 9 am). The 60-minute workout will cost you S$25 and you need to register online. 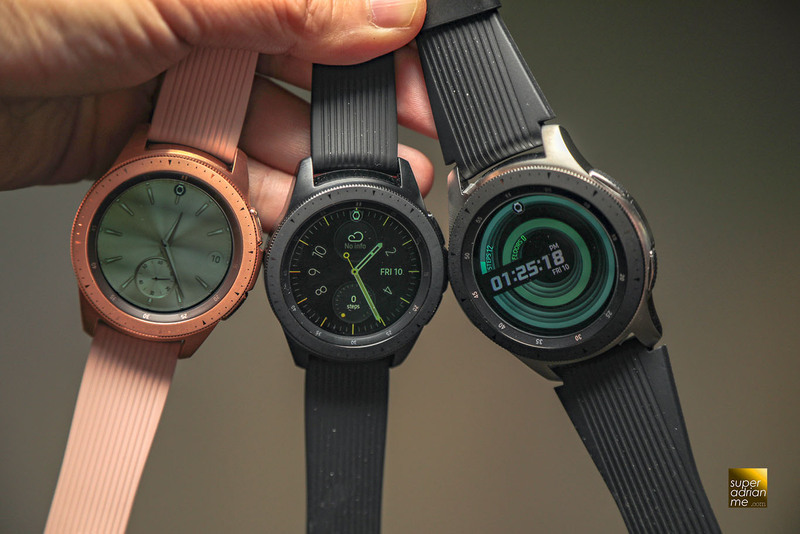 This year, Samsung launched three different models of the Galaxy Watch. The Rose Gold and Midnight Black models come with a 42mm watch face and 20mm strap while the Silver edition has a 46mm face with a 22 mm strap. Most women will like the rose gold version. By the way, the watch is now water resistant for up to 50m. You can now track your swim beside the 21 new trackable indoor exercise for arms, back, core, legs, shoulder and chest. The watch now tracks 39 workouts. 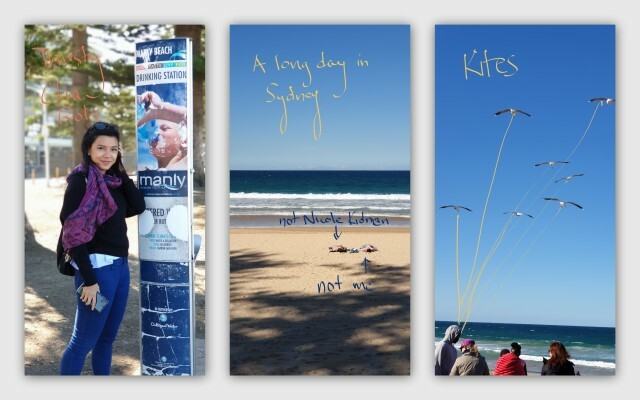 We went on a photo expedition to capture as much as possible at the famous ocean pool Icebergs at Bondi as well as lookouts of the city at Manly. We were to use and get familiarised with Samsung’s very recently launched Galaxy Note9. 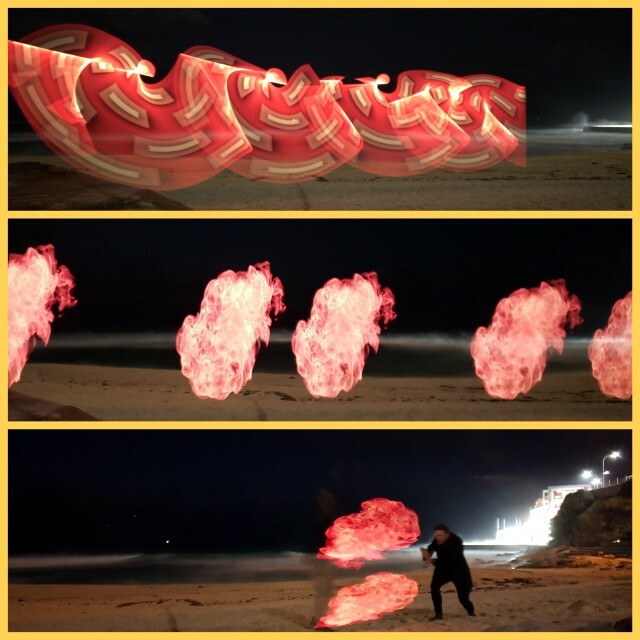 At Icebergs, we secured our Note9 to a smartphone tripod and used the professional mode to capture long exposure shots for light photography. I was amused by the result of it. Whilst the light shapes were not visible to the naked air, the long exposure on the phone allowed the shot to capture the moving light. Remember that if you are shooting on longer exposures, you need the phone to be secured and not moving otherwise your shot will not be clear. The professional mode also allows you to adjust the ISO, the F stop and well as focal points. We were brought to many scenic locations to shoot. Some amongst the group I was with have never been to Sydney so it was a good introduction to east coast of Australia. My favourite photo mode is Live Preview because of its low depth of field at f1.5. In simple English, that means the subject you have focused on is clear and the background is blurred. The Note9 comes with the S-Pen and this is perfect for adding text, lines into a photo. Take the photo with the phone’s camera and then add text. You can customise the pen tip and choose one that you like. I like the calligraphy pen tips. They make my writing look so much nicer than it actually is. The phone is after all shaped like a notebook making jotting notes with the S-Pen cool and relevant. The yellow S-Pen is a feature of the Ocean Blue Note9. The Midnight Black, Metallic Copper and Lavender Purple Note 9s come with S-Pens that matches the phone. Shoot in the Panoramic mode to capture more in a shot. The Samsung Galaxy Note9 automatically stitches the photo for you after you shoot. Post edited with Photoshop and text added. Shooting in panoramic mode lets you capture more in a shot. You can later edit and save the part that you want from the shot or use it as a panoramic photo. Whilst waving to the phone to take a wefie is nothing new, the Samsung Galaxy Note9 now lets you take a photo with the S-pen. More ways to snap that photo. By the way, the Vietnamese noodles (Pho) at Phở Gia Hội in Hay Market Sydney was absolutely delish. 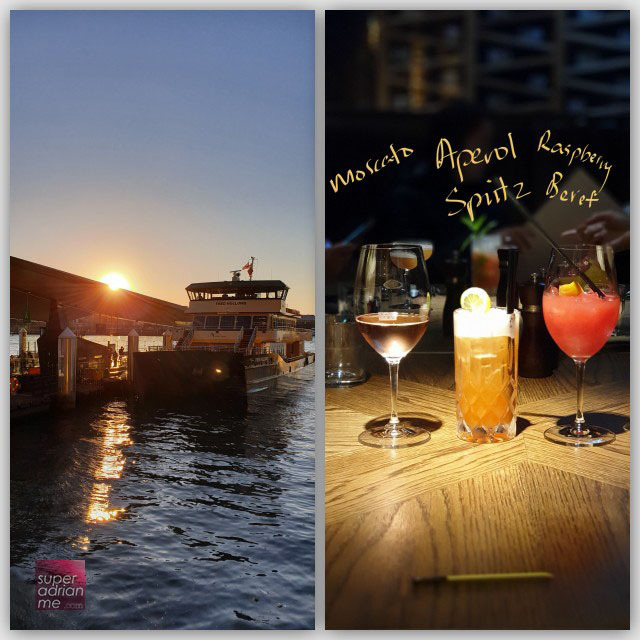 I was able to capture a gorgeous sunset just before having cocktails and dinner at Barangaroo. This trip to Sydney has opened my eyes to many more new sights in Sydney as well as taught me some tricks with street photography using my Galaxy Note 9.